The BEGO Semados® provisional implants (PI-Line) are used for the temporary treatment of large augmented regions and based on the insertion of regular implants. Furthermore, they are suitable for fixation of mucosa-supported drill templates in the edentulous jaw. 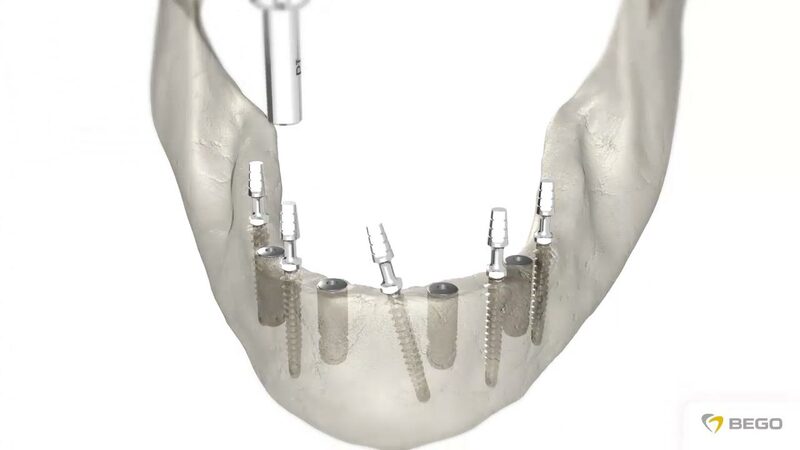 The straight implant shape and the self-tapping thread, which enable exceptional primary stability to be achieved, are ideal for immediate temporary loading of implants. The machined surface prevents complete osseointegration which means the PI implants can be safely removed prior to insertion of the final restoration. The conical prosthetic interface allows a provisional restoration to be fixed (cemented or removable) via multifunction caps which are polymerised both in the laboratory and chairside in an existing prosthesis or a new prosthesis to be fabricated. A bendable zone below the prosthetic interface allows the necessary bending following insertion in order to align the interface. 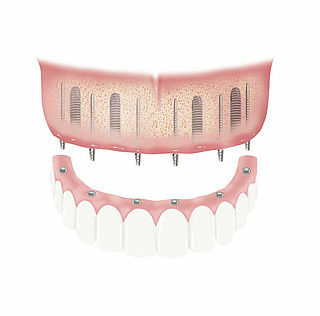 The common path of insertion means the temporary restoration can be fitted tension-free.